Newly redesigned, refrigerator door above, freezer drawer below. The Sub-Zero BI-36U over-and-under refrigerator/freezer gives you large-capacity refrigeration, plus generous freezer space (and an ice maker) in the two-tier pullout drawer. Exterior refinements include redesigned grilles and lower-profile hinges. Inside, new technology in food preservation makes the new built-ins nothing short of revolutionary. Available with tubular or pro handles, left or right hand door swing. See store for complete availability. 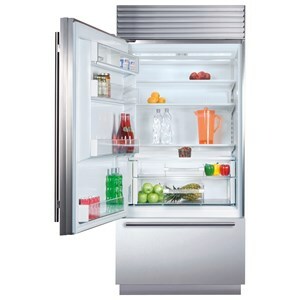 The Built-In Refrigeration 36" Built-In Over-and-Under Refrigerator by Sub-Zero at Furniture and ApplianceMart in the Stevens Point, Rhinelander, Wausau, Green Bay, Wisconsin Rapids, Marshfield, East and West Madison, Wisconsin area. Product availability may vary. Contact us for the most current availability on this product. 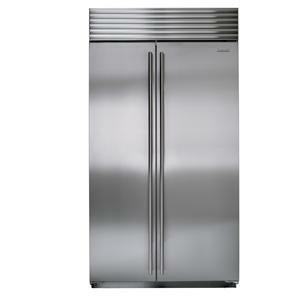 Capacity: Refrigerator 16.4 Cu. 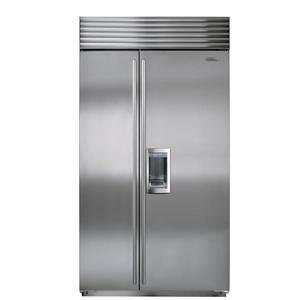 Ft.
Capacity: Freezer 5.3 Cu. Ft.
Capacity: Total 21.7 Cu. Ft. 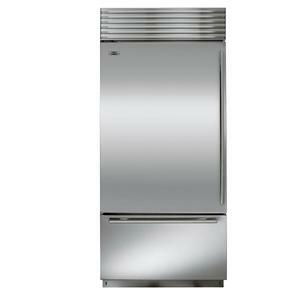 Introducing the newest generation of refrigerators from the pioneer of built-in refrigeration. Start by choosing a look – doors either wrapped in stainless steel or customized with any cabinet panel and hardware you want (including handles that coordinate with Wolf cooking equipment). From there, the vast range of built-in models lets you suit your functional and aesthetic preferences to a T. Widths from 30 to 48 inches. 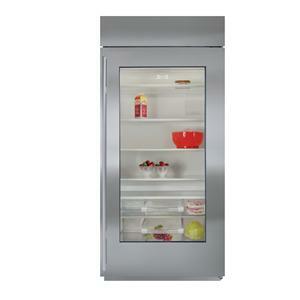 French door, glass door, models with internal or external ice and water dispenser. 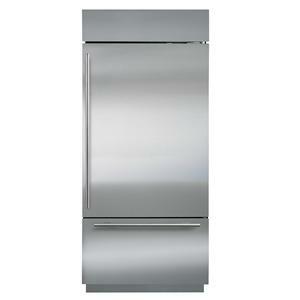 All refrigerator, all freezer, side-by-side, or over-and-under configurations. Aesthetics are not to be outdone by production. Sub-Zero built in refrigerators guard freshness by addressing the three pillars of food preservation. Sub-Zero delivers both beautiful and high quality refrigerators that will make your kitchen exactly what you want it to be. The Built-In Refrigeration collection is a great option if you are looking for Appliances in the Stevens Point, Rhinelander, Wausau, Green Bay, Wisconsin Rapids, Marshfield, East and West Madison, Wisconsin area. 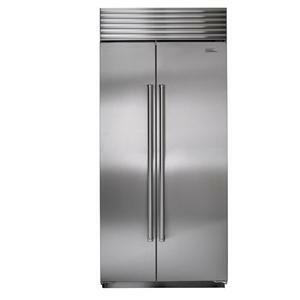 Browse other items in the Built-In Refrigeration collection from Furniture and ApplianceMart in the Stevens Point, Rhinelander, Wausau, Green Bay, Wisconsin Rapids, Marshfield, East and West Madison, Wisconsin area.